The origins of the Brotherhood lies in the mysterious world of Egypt. The Ubisoft’s acclaimed franchise, Assassin’s Creed has provided fans with literally showing how an assassin would work via video game. 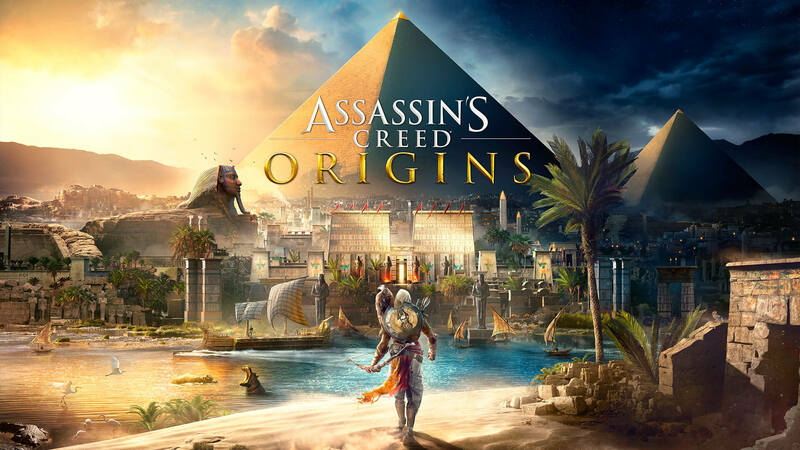 Assassin’s Creed Origins is the first game in the franchise since the 2015 release of Assassin’s Creed Syndicate and for good reason. The team behind Assassin’s Creed IV Black Flag has spent the last four years tailoring a refreshing new take on the franchise. This refreshing new take on the franchise is the answer to the mounting fans expressing their thoughts on the repetitive formula throughout the various games over the years. The question that remains to be answered—with everything we’ve seen—is will Origins just be another Assassin’s Creed or be the one fans have been longing for? With the release of Assassin’s Creed Origins later this week, Ubisoft has come out with a launch trailer. The new trailer features a few new cutscenes along with some already shown throughout the past few months. However, the video game does have a few new kinks that are included, a new RPG leveling system, the removal of the mini-map, and the ability to control an eagle flying overhead to scout targets. Don’t fret as this could only be a few spoilers for a possibly long list of new features come the full release. Journey into the most mysterious world of Ancient Egypt, during a crucial period that will shape the world. Discover the secrets behind the Great Pyramids, forgotten myths, the power of the last pharaohs, and unlock the mystery behind the long-lost hieroglyphics. Assassin’s Creed will be available on October 27th.